Multiple microphone stand and XLR cable package for three separate mics. 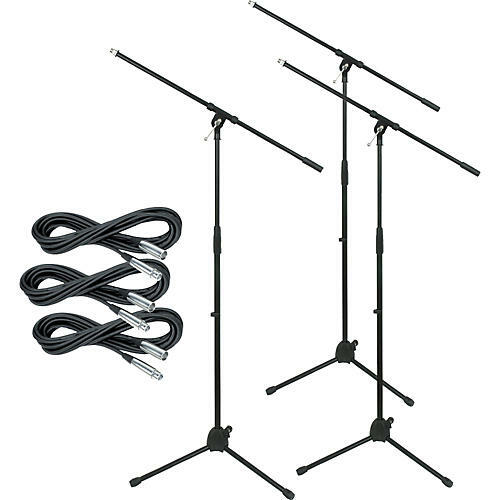 This package includes three Musician's Gear Tripod Mic Stands with fixed booms, and three XLR microphone cables, each 20 feet in length. The Musician's Gear Microphone Stands are all very stable and durable. Each stand has a thread adapter, tubular legs design, metal tuning clamp, aluminum alloy base, and black finish. The boom provides precision placement that is perfect for miking drums and amps, or a vocalist who plays an instrument.